As the Syllabus under Directorate of Health Services, Assam for the 423 Vacancy Posts is not mentioned in the official notification and so the Syllabus for the forth coming Examination (Only for 96 Junior Assistant posts) will be probably same as the other Junior Assistant Post conducted by Assam State Agencies. Date of DHS Written Examination - Officially Not Declared Yet. Admit Card Link - Officially Not Declared Yet. 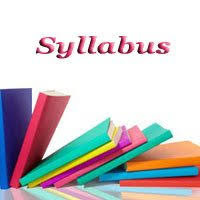 Here we have listed out below some of the important upcoming Junior Assistant Post which will give you an idea about the DHS syllabus (96 Post Junior Assistant).